When oil aeration is a challenge, FOAM is your solution. The appearance of entrained gas in lubricants or hydraulic oils may cause functional problems and damages in many technical applications. As a consequence of the general pursuit of maximum compactness and efficiency operational fluids are exposed to growing strains, which increases the risk of undissolved air accumulating in the medium. Aerated oils suffer dramatical loss of lubricity get compressible, which may cause serious tribological problems or even damage to power-transmitting components. flucon, who have become a top-notch expert in the field of fluid aeration ever since we developed the inline aeration meter CGS, have now created an all new apparatus for the controlled introduction of air into oils, enabling users to counteract the problems which arise from trapped gas in their fluid-carrying systems. Since this was a completely new field of research, flucon were supported by ZIM, a German government funding program for exceptional innovations. In addition both the procedure and the apparatus are now patented. Our FOAM (Flucon Oil Aeration Machine) is a compact aggregat that contains a 40 Liter tank (type FOAM S), which can be easily integrated into your fluid circuit as a reservoir, where it then produces consistent air-in-oil dispersions. If you favor an external installation, with an aeration unit added to your pre-existing open reservoir, you may prefer our FOAM XL-x, which we also recommend if higher flow rates (10 - 60 l/min) of aerated oil are required. 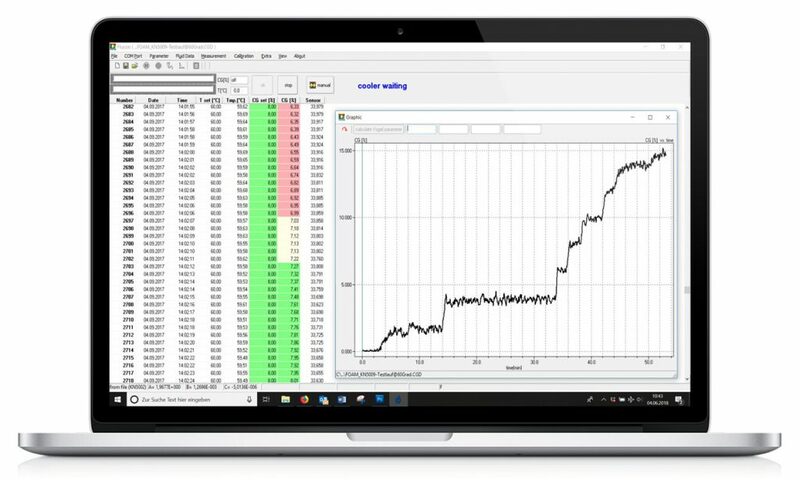 Customers may set up a gas concentrations of 0.5 to 25 vol.-%* for their oil. 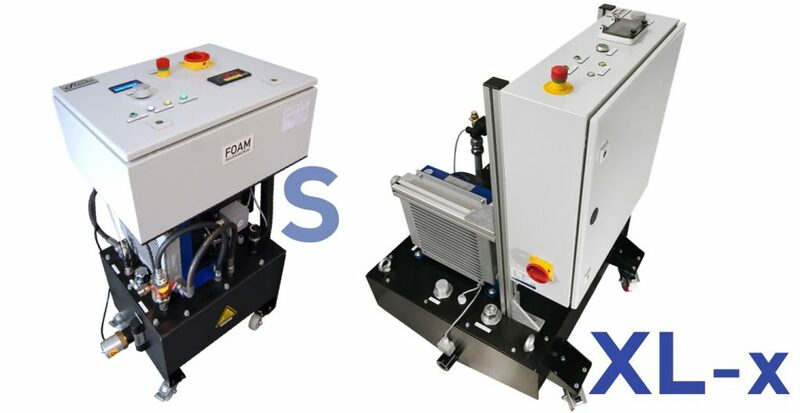 While the FOAM is adding the desired amount of entrained gas to your fluid fully automatically, there is no need for a compressed air supply. When the gas concentration reaches the required level, the user can go ahead and pump the aerated oil through his circuit. Of course both the natural degassing and the strain of your application may reduce the gas concentration of the oil when it is fed back from your outlet to the reservoir. 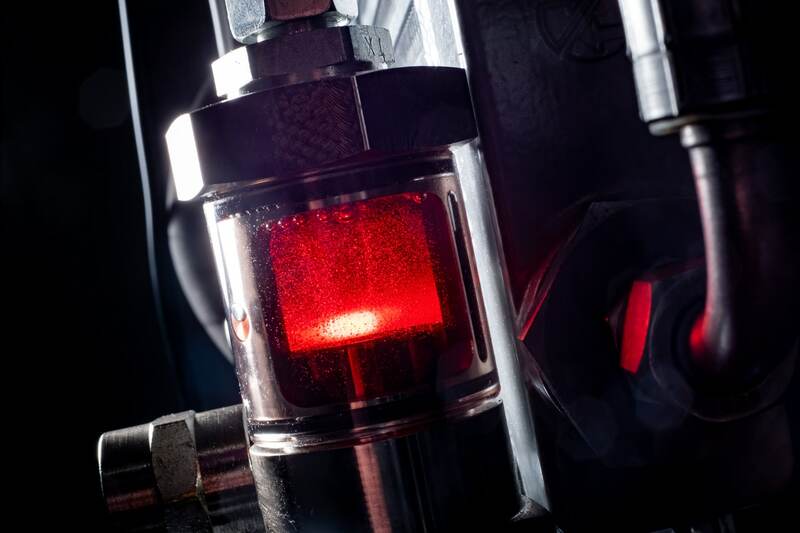 But the automatic degassing compensation function takes care of that: once the FOAM has been calibrated on the oil of your choice, it constantly measures the exact gas concentration inside your tank and intelligently inserts additional air to keep the gas concentration on a constant level. The integrated sight glass (FOAM S) visualizes the dispersion and lets you keep an eye on the homogeneity of your two-phase mixture. 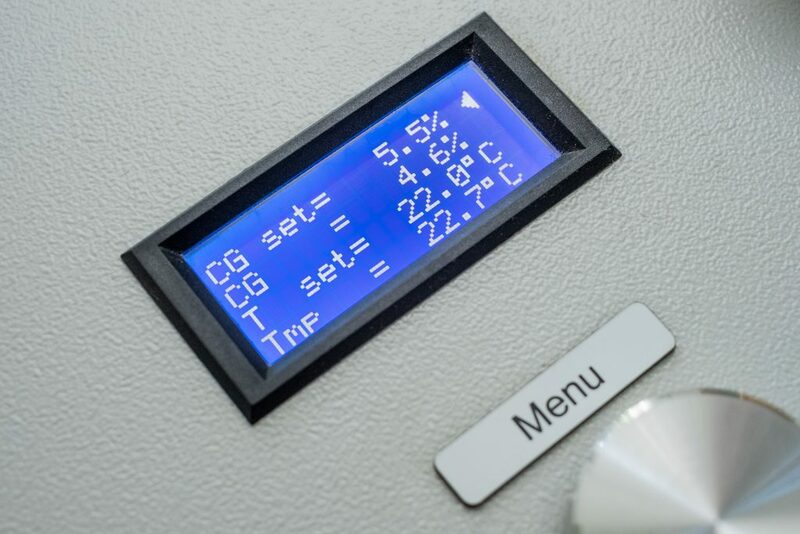 The temperature control compensates for the heat which is generated through the aeration process. If you go for our FOAM S you may also heat up the oil in preparation for your tests by means of its built-in 2 kW heater. successfully tested with many motor oils, transmission fluids, CVT fluids etc. Whatever works best for your aeration test bed - we're here to help you and find individual solutions. Get in touch now and learn more about FOAM and its various functions and possibilities. If you would like to get further information and a non-binding quotation, simply follow the link below to make an inquiry today. Control your aeration, solve your problems. Are you interested in our FOAM technology? Contact us now for further information and a quotation without engagement. Experts in fluids. Experts in aeration.